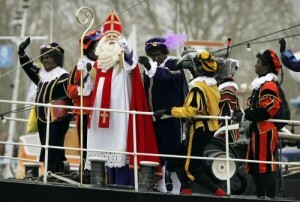 WILLEMSTAD - The Dutch organization Kick Out Zwarte Piet (Black Pete) wants to hold a demonstration in Curaçao during the arrival of Saint Nicholas. That will be on Saturday, November 17. The action group then simultaneously demonstrates in 18 Dutch municipalities against the Black Pete. There was once in Curaçao a protest against the arrival of Black Pete. This took place in 2015 under the name: Piet bai Flit!